Craige trained as a physical education teacher and began teaching in the Perth metropolitan area in 1978. Since 1987 he has worked in regional and country schools and offices in a variety of program and promotional positions. 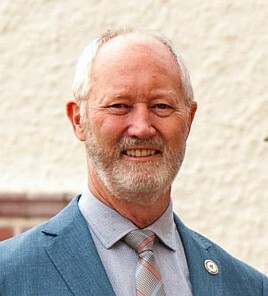 Craige’s journey to his current position, which he has held since 2008, included regional VET coordination and six years as Manager of District Operations (MDO) in the Bunbury Education District Office. Craige worked with other Bunbury schools to support them with VET delivery and he pioneered the establishment of local schools as RTOs. Although the quality control processes he helped establish have evolved since prior to 2000, the framework still exists and is in use by many schools with RTO status. His time as MDO gave him a valuable insight to the role of Government in education and this experience has assisted him throughout his career as a principal. The social issues that face all young people, including those of gender diversity, are the things for which Craige has a passion. His school has been a leader in establishing diversity groups and in 2018, he supported students to work with the Commissioner for Young People to develop a series of videos designed to support administrators, teachers and students to develop an awareness and understanding of issues that face gender diverse students in schools. For six months of the year, Craige travels regularly to Perth to ‘train’ with 150 other cyclists who raise over $2m each year. The funds go towards supporting youth with depression and at risk of suicide. The ride is over 600km and stops at schools to present to students and the community on the topic of suicide prevention. Craige has been a member of WASSEA for many years and with their support, he has attended two ICP conferences. His learning from these experiences have assisted him to frame his own leadership, drive change within his school and push for change at the system level. Craige commends WASSEA for the support they give to administrators to undertake professional learning of this calibre and he believes he is now in a position to ‘give back’, hence, his desire to be a WASSEA Committee member.